Cris Rowan is known to some as an FFG. That’s right, a ‘Fabulous Fun Girl’, ready to act on an urge to do wild and wonderful things that are both spontaneous and fun. But, I think Cris is more of an SSB girl – ‘Strong, Smart and Bold’. 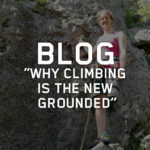 She takes adventures and challenges head on, inspiring others in her wake to do the same. She’s one of my ‘girl power’ heroes; like Anne of Green Gables or Hermione Granger of the Harry Potter series. My jaw often drops when I watch her ask ‘why’ questions and problem solve complicated issues in a bold and smart way. 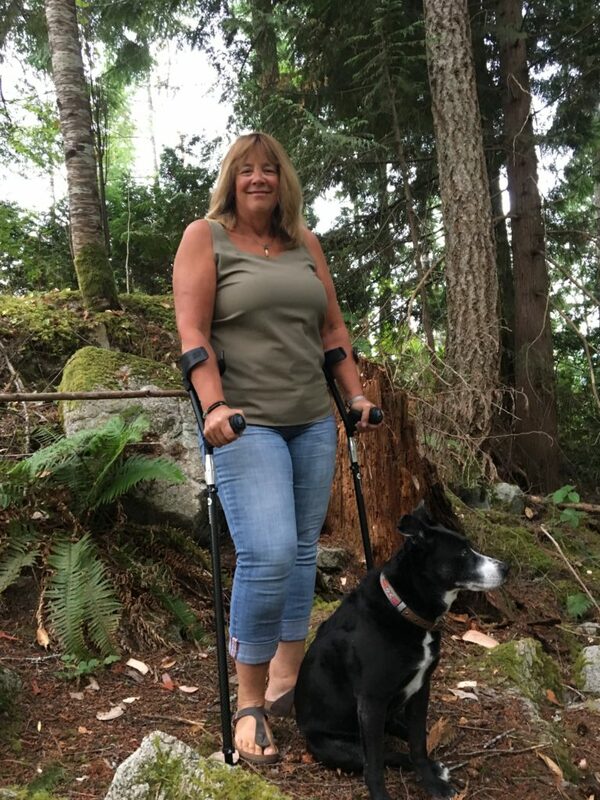 So, when Cris was faced with mobility challenges based on some old injuries which have come to haunt her in her sixties, she chose to use SideStix to continue to be engaged in life. Cris is an occupational therapist who lives in the North West. Her life consists of traveling long distances to work with indigenous youth in remote areas of BC, going on week long kayak trips and hiking and snowshoeing in the mountains. She uses her SideStix as back-up when her knee gives her problems. She may be known to some as an FFG, but to me she is an SSB girlfriend. Cris will always live a wild, adventurous and crazy lifestyle – on her own terms, all while adapting to her physical circumstances. To me, that’s a strong, smart, and bold way to live a fabulous fun-girl lifestyle; wouldn’t you say? What does Defy Convention mean to you? Cris – As we age, we are supposed to do less. We’re supposed to be more crippled. Basically, curtail our adventures to reflect our disability. For me that just isn’t possible. I want to do lots of things. Even though my knees are shot and my ankles are fused I try not to let that stop me. 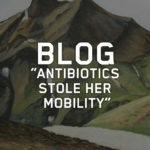 What I really got hung up on there for a bit is when I am in non-weight bearing status, the pains in my knees or ankle. I need that stability in my life. I work and I travel a ton. And I like to do fun things. 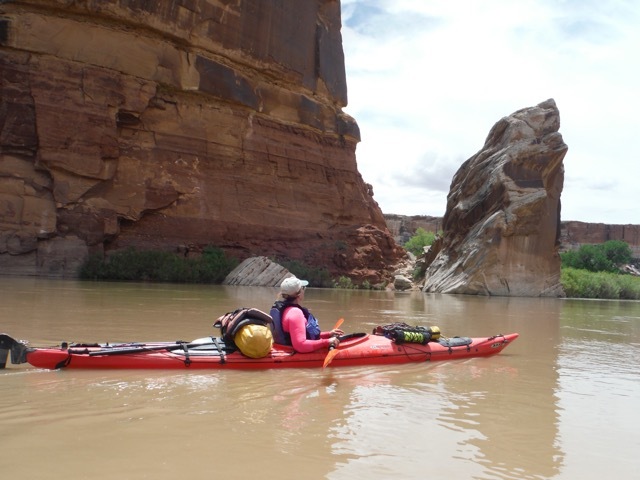 One adventure that is coming up, and that I am very excited about is my trip down the Green River in Utah. So I said that my friends, “You know my knees are not great right now, and I have my braces but I also have my SideStix”. I thought of my dear friend Sarah Doherty, and how we have paddled together before. I thought you know, if Sarah can paddle, I can paddle. So I checked in with my team and let them know that although there may be some uneven terrain when we are on ground, I will have my SideStix with me. They were ok with that. My Stix are what have given me the confidence I need. I carry them in the back of my car because for work I travel to some pretty remote places, and I know that they are there if I need them. Regardless if it’s snow or rain or whatever, I have all of my crutch tips that will accommodate whatever terrain I am on. For the times that I am non-weight bearing my Stix give my knees the ability to rest. At 62, I really don’t want to have total knee replacements… maybe, closer to 72. If I can scratch out that time, before I need to have that surgery, great. My SideStix are really enabling me to do that. Cris – When I was 20, I had a parachuting accident. So, I had a chute malfunction and I landed super hard. I busted my ankles, broke my pelvis, and dislocated a shoulder but what I didn’t think of at that age, was the affect all of that would have on me now. What x-rays and MRIs are showing now is that I have tri-compartmental OA (Osteoarthritis) in both knees so that means both of the plateaus are beyond repair. There is no kind of surgery that is going to fix that. What is really amazing is that both of my cruciate ligaments and my medium collateral ligaments are intact. My ankles have been fused, so they are pretty good. My knees and hips are slowing going to deteriorate over time. Do you have a passion in life and if so can you describe a little bit about it? Cris – Kayaking. In particular, Sea Kayaking. I love putting everything in a boat and just taking off. It’s the most liberating feeling ever. When I am in a boat, I just feel so much a part of nature. Going where I want, when I want and not having to be tied down to a certain place, at a certain time. One of the best parts, is finding a campsite. Sometimes, you don’t find a campsite, you find a spot with a rock that is flat. I love those adventures. As a Kayaker, we get to go to places that sailboats, or motorboats can’t, so the desolation factor is huge. What is your favorite thing about SideStix? Cris – As an Occupational Therapist, I’d say that that the first thing that comes to mind is probably the padding on the handle (grips). It’s very much like an orthotic would be like for a foot. It’s a principle that we use in wheelchair seating and positioning, that you increase the surface area for contact so that it decreases any pinpoint pressure. I feel the pressure distributed throughout my whole hand so that I don’t feel all of that pressure in a single point of my hand. I also have the grips on my bike, which I really like because I’m not getting as much pressure on my palm. You know that area, when you lean forward, and you feel it on the heel of your palm. The shocks are great as well. They really contribute to the momentum and that fun factor. They are fun to walk with. I feel like I have an assistant. I really do appreciate all of the thought that has gone into the angles on SideStix. For instance, the angle of the forearm piece in relationship to the shaft, is that way to ergonomically reduce that strain on my shoulders. Ergonomically, they really are an excellent piece of equipment. What is your idea of a perfect day? Cris – We’ve had a lot of rain here and I have been travelling lots up North. So I was in need of a little sun therapy. Yesterday I got up and I’m in between trips, so I got a lot done. It was like 2pm and I said, “I’m hitting the beach.” I grabbed my paddleboard and off I went. I got to the beach and there was nobody there. I sat there, with my book and a glass of wine and I thought about where I was going to paddleboard. All of a sudden, all of my friends starting showing up. Half of us had paddleboards. Sechelt inlet (where we were) is such a little inlet, so we paddled across the inlet and around the inlet. At one point, we stopped in the middle of the water and had a rest. You know, just to sit there and shoot the breeze. We really live in such a gorgeous place. Later on, I got home and I had dinner out on the deck. That was really my perfect day. Cris – Actually, I recently quit my job. It was a very stressful job that required me to be away 70% of the time. What happened with that job is that I lost a lot of my motivation. I was tired and I wasn’t getting out and doing any of the things I love. I was always in the car or on a plane. Now, three years later, I can get back to doing the things I love; getting outside, spending time with friends, making those things a top priority. I love food, I love cooking. I love my friends. And, I love music, and outdoor sports, and walking. The other night, I had all of my girlfriends over. We cooked salmon and prawns. A lot of my friends are seasonal (on the coast), so it was a nice welcome back with them. Do you have a message for other crutch users? Cris – As an occupational therapist, I think it’s important, when you are getting older, and you still want to go on adventures, to respect your body and respect when it needs rest. Meaning, using those crutches, to allow proper rest. To not be afraid of disability and not let it stop or your curtail further activities, because you can no longer walk. I see it a lot, when people slow down, they gain weight. I mean, I did that too. So, I guess it would be to respect your body and maintain that fitness and being kind to yourself. Just because we are aging doesn’t mean we have to stop doing the things that we love, we just have to do them differently. Especially using SideStix, which allow me to continue to do the things I love. They give me that confidence that I can use them when I need them. 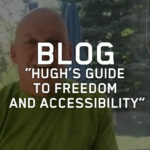 As a part-time crutch user do you find that people question why you need forearm crutches as opposed to walking sticks or something more casual? Cris – Well, you (Sarah) and I are both Occupational Therapists, and we work with people with disabilities. So, the fact that I too have a disability, doesn’t really bother me that much. The hardest part of using crutches, is pulling around my luggage! It’s so difficult to move my luggage from parking to the tram, to get to the airport. So I need to ask for help. That is a little hard. I think I just need to get a little more courageous about asking for help.